A.R. Mays Construction was recently awarded the contract for FatCats. 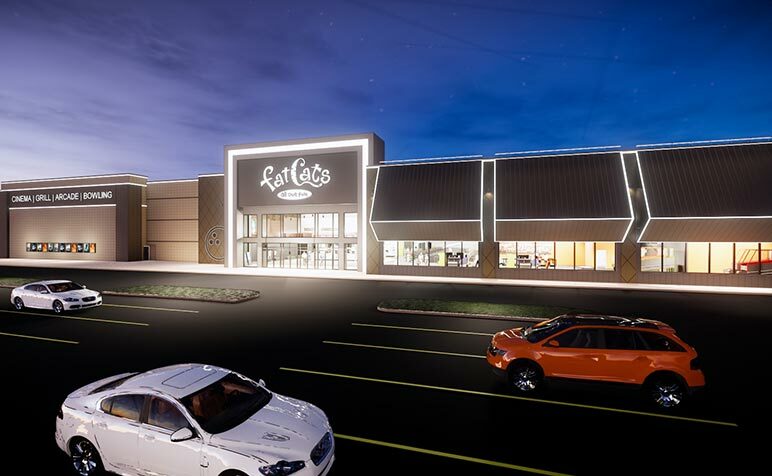 Located in the Longbow Marketplace in Mesa, FatCats is a ground up, 64,050 SF family entertainment center with eight theaters, 20 bowling lanes, arcade, nine-hole glow in the dark mini golf, party room, virtual reality area, bar and restaurant.